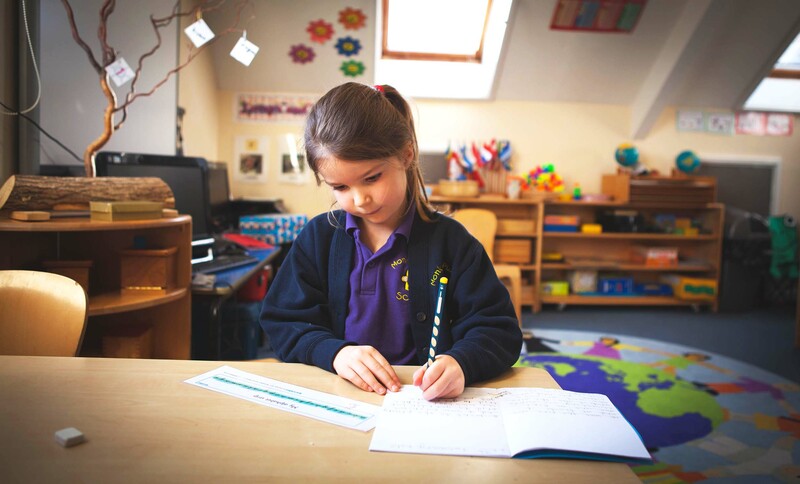 Monkey Puzzle Montessori School provides a rich educational environment with the finest views in Guernsey, overlooking St Peter Port harbour and surrounding islands. Our children thrive in a nurturing and safe environment where small class sizes ensure that every child is a special person and given the opportunity to develop at his or her own pace with the right level of encouragement and challenge. Dr Montessori observed the importance of ‘sensitive periods’ for learning, a period when a child has an intense fascination for learning a particular characteristic or skill, such as going up or down steps, putting things in order, counting or reading. The Montessori classroom takes advantage of this by allowing the freedom to select individual activities that correspond with their own period of interest. Our morning work is centred around the core subjects of numeracy and literacy. For these subjects, we use the traditional Montessori methods and materials which encourage the children to enjoy learning while progressing at their own, individual pace. Many of the materials are self-correcting and the children gain great satisfaction from completing tasks independently. We provide a carefully prepared rich environment for language development in our classroom using indirect preparatory materials along with the phonic materials to develop the skills needed for both basic and advanced reading and writing skills throughout our age groups. 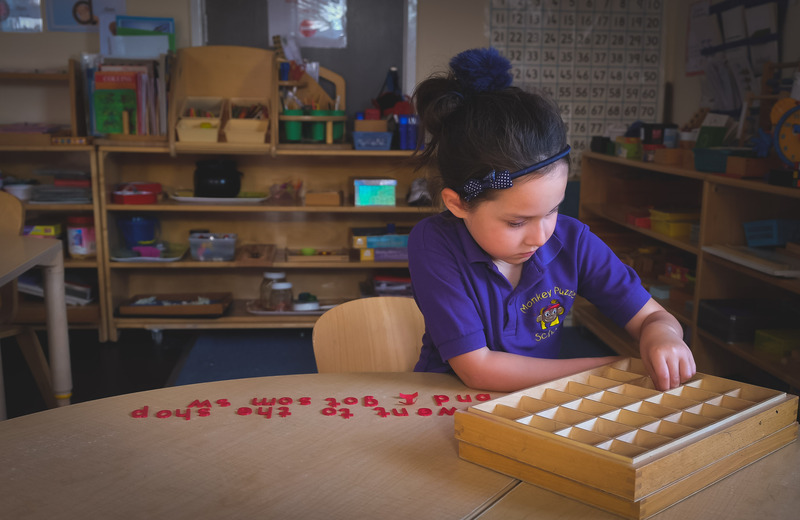 Montessori promoted the belief that maths in the early years prepares a child for logical and critical thinking, not for memorising mathematical facts. The children are introduced to specifically designed maths materials which facilitate an interest and understanding in concrete mathematical operations which lasts a lifetime and leads on to a smoother transition and understanding of abstract mathematical concepts. Although given daily direction to complete tasks, the children are also encouraged to choose their own activities, therefore there is often a busy hum of activity to be heard in the room! We monitor each child’s progress as an individual and each child is introduced to new work as and when they are ready for it. To keep in line with the National Curriculum attainments, numeracy and literacy workbooks are used at times to consolidate and reinforce our learning experiences whilst helping to make a transition to other schools less daunting. Cultural work and Science play a very important part in our curriculum. We study many of the different continents and countries, investigating people, animals, history and beliefs. These projects are made more interesting for the children through the medium of art, craft, cookery and drama. 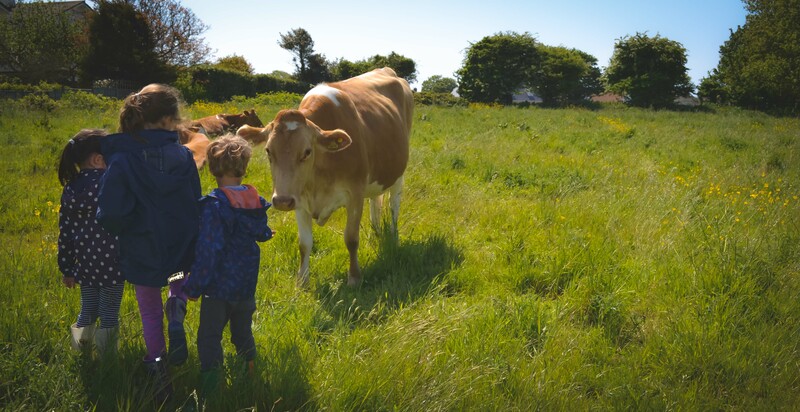 The children are encouraged to explore the world around them and much of the emphasis in Science and Environmental Studies is to introduce the children to hands-on experimenting, outdoor learning environments and to encourage questioning and observation. Although there are different age groups in the prep class, all the children work together on the various projects, each child working at their own level. The children are encouraged to bring in any information or items relevant to the projects and projects often take off in other directions led by the enthusiasm and interests of the children. 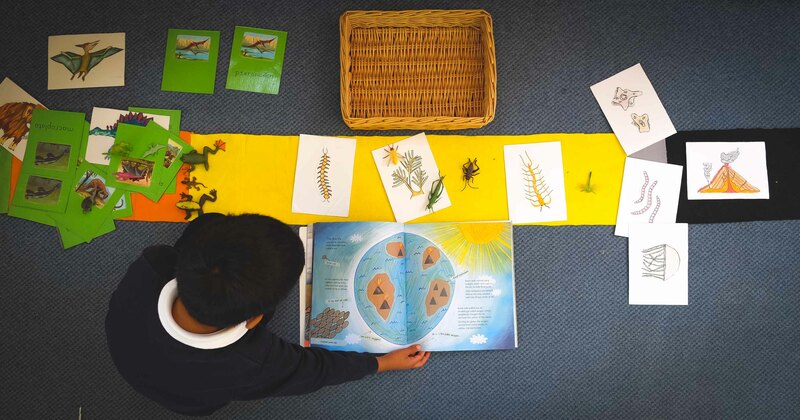 Our classroom offers the Prep children real-life experiences to help care for the environment and each other. 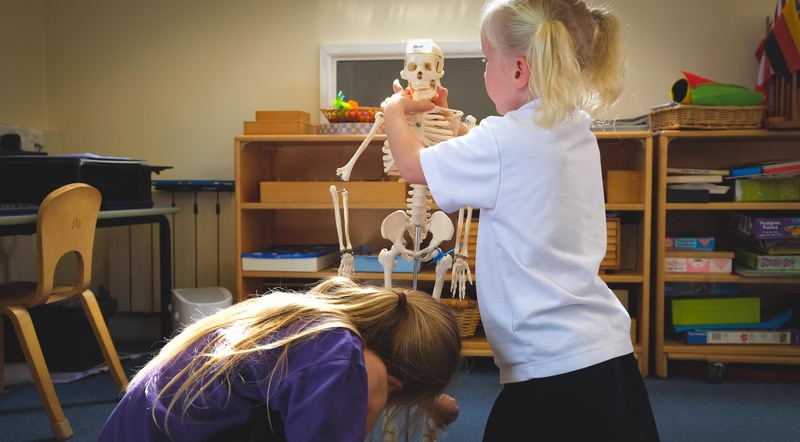 Developing control and coordination, independence, concentration and a sense of responsibility, the children are guided to be involved in daily activities within the class. As well as having responsibility for the indoor and outdoor environment, they prepare the snack and serve lunch. Our cookery sessions teach the children valuable practical skills that can be carried with them throughout life. Children practise basic math skills as they measure ingredients, reading comprehension as they follow recipes and team building as they work in groups. We strive to build a strong foundation for healthy eating and food preparation. An important part of our summer term involves weekly ‘Back to Nature’ outings. These outings involve mornings spent in the woods, meadows, beach or other outdoor learning environments. This provides a chance for the children to experience nature and the outdoor environment in a safe and secure but hands-on way. 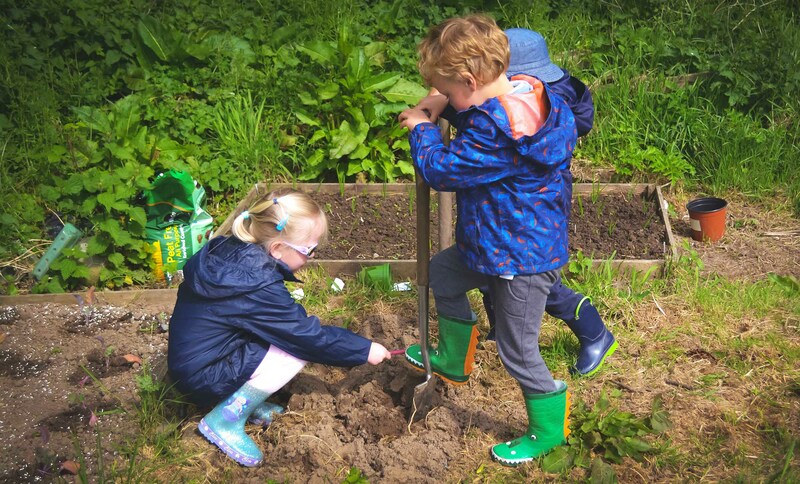 They learn many practical skills but, more importantly, they also learn social skills, team-working and responsible risk-taking which leads to the development of their own self-confidence, physical agility and knowledge and understanding of their natural world and environment. The children are actively involved in drama with the Prep children taking lead roles in the Christmas play and summer concerts. At many other times during the school year, the children perform plays and stories to celebrate festivals and assemblies, which greatly develops their confidence, teamwork and communication skills. The children are welcome to participate in a group or individually in both the Speech and Drama and French classes in the annual Guernsey Eisteddfod. Our native French teacher works with the Prep children for three, half-hour sessions a week. She introduces grammar and conversational French to all the children with written French for the Middle and Upper Prep children. French classes are interactive with songs, games and videos being used to help provide a greater learning experience. The children explore different materials and artistic genres as well as creating crafts appropriate to various cultural projects. They are introduced to the History of Art and various artists while looking closely at the different techniques that these artists employ. Art is one of the many ways that children express themselves, communicate their feelings and develop fine motor control. Independent creation is hugely encouraged and children have daily access to art materials. To help give the children a greater understanding of feelings, emotions and how their actions impact on others, we include one PSHE/RE class a week. The children are introduced to different world religions and cultures at this time but with no specific religion being encouraged. The Prep children regularly present assemblies to celebrate different cultural festivals. At Christmas the children learn about the Nativity and Christmas carols are sung. If you have any strong objections to your children being involved in these classes, please let us know. Music classes are fun for the children with the introduction of instruments and basic theory. Singing is taught in a lively, interactive manner with the children playing musical games and listening to music from around the world. The older children learn to play the recorder in their final year of school, learning how to read the music that they are playing to. The children have one games session per week taking place either at school or at Beau Sejour. During the year, the children learn to play Uni-hockey, football, tennis and netball, as well as basic gymnastic classes and rounders. They also have sessions of yoga, music & movement and athletics. Swimming lessons organised through Beau Sejour swimschool are included within the terms fees. Next > "Term dates and Timetables"